It's been almost two months since Hurricane Maria hit the U.S. territory of Puerto Rico, and the stories are disheartening to read. USA Today recently reported the damage is still such that hundreds of thousands of Puerto Ricans have decided their only hope for normalcy is to leave their ravaged homeland behind. For every person who leaves, however, there are others who choose to stay behind and do what they can to put their homes, families, communities, and their island back together again. 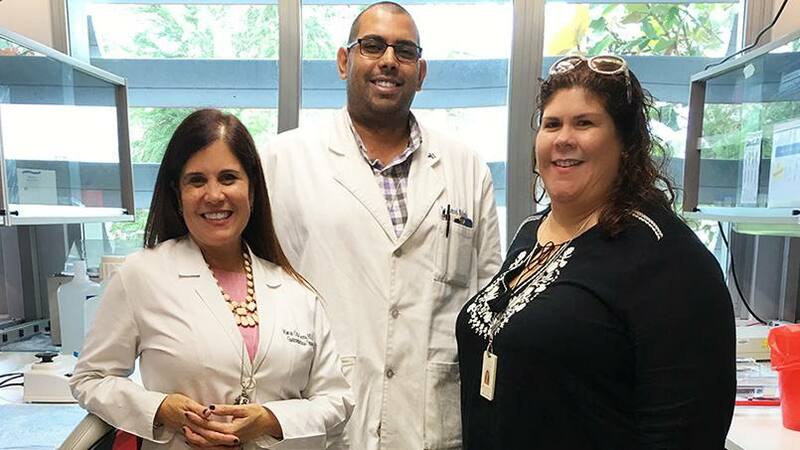 Three of those people are Marcia Cruz-Correa, M.D., Ph.D., Melecio Lemuel, M.D., and Jessica Hernandez, a registered nurse. Their top concern after Hurricane Maria, we're told, wasn't of themselves but rather making sure the patients they’d helped enroll in cancer prevention clinical trials were safe and had what they needed. The trial is being conducted through Mayo Clinic's Cancer Prevention Network. Trial participants, the research team knew, had lost access to power, water and other basic requirements. "Many of our colon cancer, liver cancer, and other cancer-related clinical trials are currently recruiting subjects or following subjects, and there were several of those subjects at the Puerto Rico site when Hurricane Maria hit," Paul Limburg, M.D., a Mayo Clinic gastroenterologist and principal investigator of the Cancer Prevention Network, tells us. "Afterward, we recognized it was going to be very challenging for our research to have any sort of priority against that and all of the other issues our colleagues were dealing with there." Much to his surprise, however, Dr. Limburg tells us the opposite happened. "In the midst of trying to take care of themselves and their families and rebuild their community, they've gone above and beyond to engage with our study participants to keep them informed, to allow them to remain on study, and to meet the different study-related milestones … even at their own personal expense and risk," he says of the ongoing efforts of Dr. Cruz-Correa, Dr. Lemuel, Hernandez, and others at the University of Puerto Rico. In the days leading up to Maria's landfall, Dr. Cruz-Correa tells us she, Dr. Lemuel, Hernandez and others planned and prepped as best they could for the damage they knew was coming. The trio went out of their way to reach out to Mayo's clinical trial participants and other patients to move any upcoming appointments ahead of the hurricane "so that in case we had to be closed down for an extended period of time, we'd still be good." Those plans were put to the test. "We never expected the hurricane to be as complex as it was," Dr. Cruz-Correa tells us. "We did know we could lose up to a week's worth of work because that's usually what happens, but usually within a week, we're back in business. Then the hurricane came and it not only affected business as usual, but also life as usual. We lost all power, all water and all communication for approximately two weeks." After the storm hit, the team's first order of business was to reconnect with their patients to make sure they were all OK. "We started contacting patients as soon as we could, but the communication was extremely bad because we had no cell service," Dr. Lemuel says. That began to change over time. But one patient proved especially difficult to reach. "I decided to just go straight to her house to make sure she was OK and that her family was OK," Dr. Lemuel says. "Then, because her cell service was so bad, as a group we decided to buy her a new prepaid cell phone so that she could not only keep in touch with us, but also with her family and her employer." When another patient came to them after the storm with nothing left but the clothes on his back, the team at the university arranged for food, water and other supplies to be delivered to him and others in his community. "We were able to get big trash bags full of water and supplies, and we took them straight to the patients and community members who needed them most," Dr. Lemuel tells us. Dr. Lemuel says the response was not what they expected. "Despite everything they'd just lost, when we talked with our study patients, the first question many of them asked us was whether their upcoming appointments were still on," he says. "I didn't know what to say to that." "The level of effort and engagement they’ve shown through all of this has truly been exceptional." — Paul Limburg, M.D. Dr. Limburg, for his part, tells us it's a testament to the strong commitment to medical research he has come to see from colleagues and study participants in Puerto Rico. "The level of effort and engagement they’ve shown through all of this has truly been exceptional," Dr. Limburg says. "It's been allowing us to stay on track with our research projects, maintain adherence with protocols, and keep the research moving forward." For Dr. Cruz-Correa, Dr. Lemuel and Hernandez, however, it's all just part of the job. 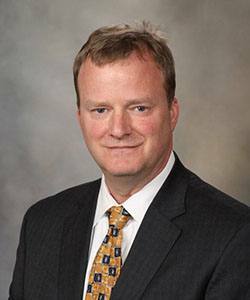 "For us, as part of the Mayo Clinic team, we have a big responsibility to our patients and the communities we serve. So if we invite them to participate in these clinical trials, we have to be there for them when they need us, too," Dr. Cruz-Correa says. "We're extremely proud to be a part of Mayo Clinic and the Cancer Prevention Network, and they've been so supportive of us through all of this. Before, during and after the hurricane, there hasn't been a single day that we haven't received an email, phone call or text message from someone at Mayo Clinic. We've never felt isolated, and that's been really important for us." Don't isolate us from your comments on this story. Instead, share them below. Then use the handy social media tools to share this story with others.